/Creating, Editing and Managing Events /How do I add sales tax? Sales tax can be found while editing your event by going to “Ticket Pricing and Options”. 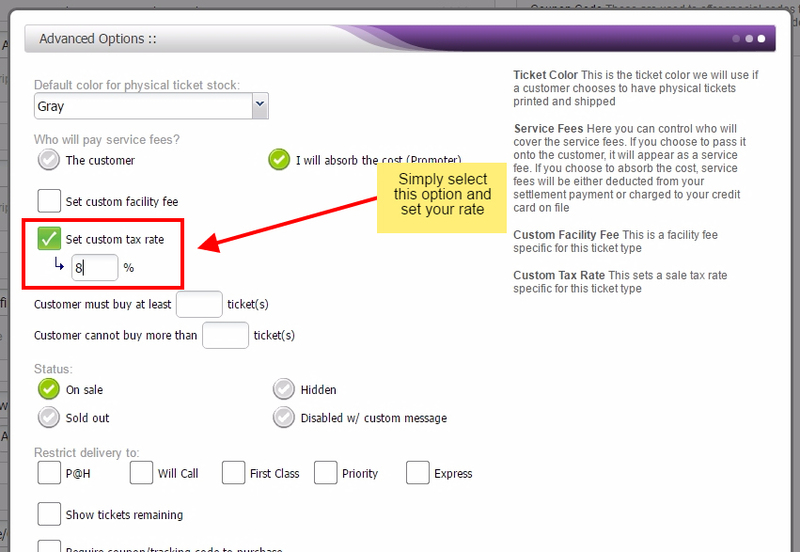 Below all your ticket types you will see a few options such as “Add Facility Fee” and “Add Tax (%)”. By clicking on “Add Tax (%)” you will be able to enter a percentage to be collected. This money will go straight to you. Click on Update Event at the bottom of your Edit page and you are all set!